The greatest military leaders of the Napoleonic era joined in an epic and final struggle. Poor calculation, miscommunication, great fortune, heroic deeds and tragic failures, outlandish fashion and biblical weather. The battlefields of Waterloo frame history in such a concentrated way that few campaigns have ever, before or since, meant so much to so many, and impacted future events quite so significantly. Yet around this most famous of battles so many myths have arisen over the years, myths that have been repeated over two centuries without full and proper enquiry, and that bear little relation to reality. Join two highly renowned Waterloo experts who will transform your understanding of the battlefield, the characters who fought there and the faulty accepted version of events peddled amongst best-sellers to this day. 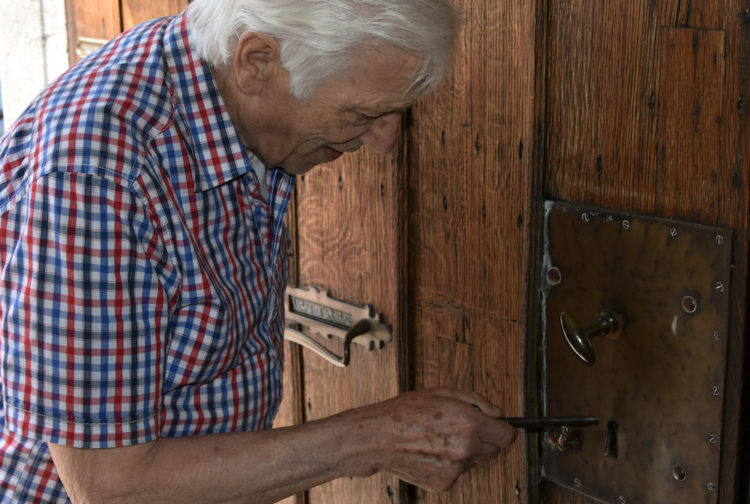 Our tour is carefully crafted to ensure you a warm welcome, visiting both well known and forgotten points of the battlefields, all the major attractions and the hidden places. We'll unlock the secrets of what really happened, entertaining you with the first-hand accounts of those who were there. Each day includes scene-setting strategic handouts, maps and images. At each key battlefield position we'll recap the strategic situation, the knowledge and intent of the leaders, the elapse of time, the weather conditions and the impact of terrain. We'll examine the tactical decisions, the character and experiences of the men (and a few women) who were there; some well known, some forgotten, others yet to be published, from senior officers to lowly rankers across all nations. 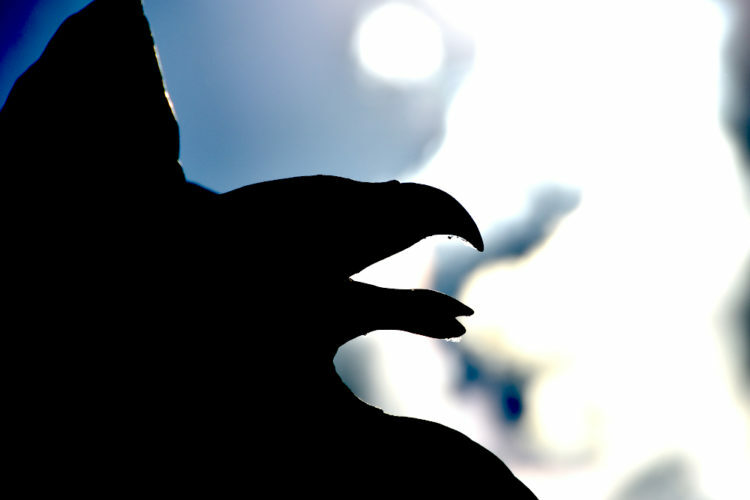 We'll look at how history has told the stories, how they have become embellished, distorted, misunderstood and abused. We'll tell how accepted history has been overturned by fresh examination and re-interpretation of the records, with a wider understanding of the role of all nations in this epic struggle. We'll also include 'end-of-day' wrap-ups to review the major features of each day. We'll guide you around the best bits of the museums and memorials, looking at the evolution of the battlefields whilst referencing other eras of history for a full understanding of these beautiful locations in the 'cockpit of Europe'. We'll ensure that any particular regimental or ancestor interests of yours are covered in depth to add real meaning to your experiences. Whilst on tour we'll enjoy hearty breakfasts, light lunches and great dinners with wine to ensure your pleasure and comfort, plus time to relax, not forgetting the beer tasting! We always remember that this is your holiday. Nothing beats standing on a battlefield on the date of the battle, and we are confident that this is the most comprehensive, knowledgeable and original Waterloo Battlefield & Campaign tour you can join. Our walk of the battlefield scheduled for the 18th June benefits from fairly good weather. If the forecast is particularly unfavourable for that day we may decide to move it to one of the other days. We are also offering a post-tour half-day visit to nearby Ramilies (Marlborough) and invite your interest. There are also early plans in place for a small gathering of re-enactors on the following weekend. Should you wish to stay on we are happy to plan attendance and a historic tour of Brussels with you. 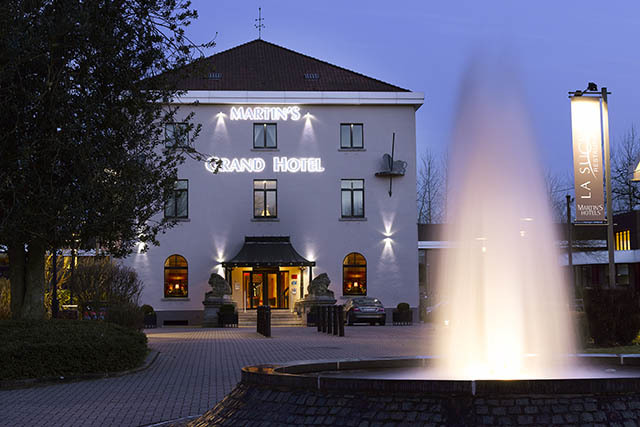 We gather at our Waterloo hotel 2.00pm with a welcome and tour introduction before heading straight to the battlefield. We climb the Lion Mound to view the landscape, army dispositions, describe the ebb and flow of battle and the evolution of the preserved battlefield. At the exceptional 110m metre Panorama we explain this huge painting, the tactics, formations, arms and uniforms, before exploring the French Revolutionary & Napoleonic era at the Memorial museum. 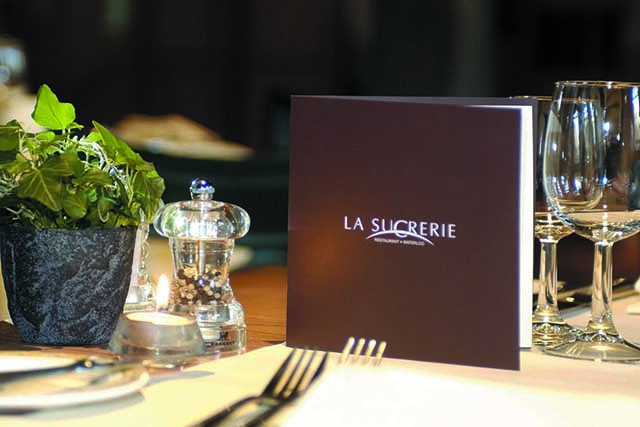 We dine at our hotel in La Sucrerie. Saturday 15th June: Plans, Invasion & Events! We travel just over the French border to Beaumont, where Napoleon awoke on 15th June 1815 to launch his attack. We visit the key locations where the campaign began to unravel before it had started, discussing the issues faced by Gerard, Grouchy, Lobau, Mortier, Ney, Vandamme and Napoleon’s much-lauded, inspirational yet wholly deficient communications. 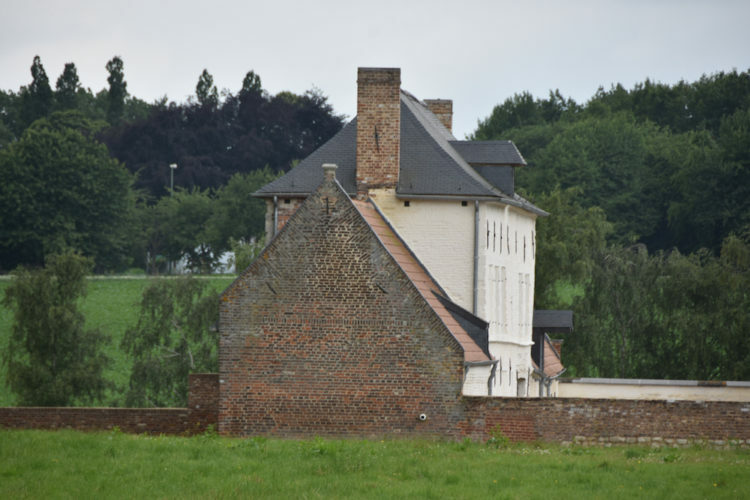 We join Reille’s Corps, starting at his overnight Chateau, taking in the beautiful crossing points of the River Sambre before following Napoleon’s left wing under Marshal Ney to the Roman Road and Frasnes. Here we look at the French achievements and unresolved problems of the day, the reaction of the Allied and Prussian commanders and the impromptu defence led by their officers. Back at Waterloo we visit Wellington’s HQ Museum & Royal Chapel at Waterloo before enjoying an interactive event on the myths and realities of Waterloo. memorials. We examine the liaison between Wellington, Blucher and their staff, and the close battle as troops were fed into the fray the moment they arrived. We follow D’Erlon’s route, showing how and why he so very nearly altered the course of history, yet ended the day achieving nothing. Then we journey on to the battle of Ligny to Brye (Blücher's HQ), St Amand, Fleurus (Napoleon's HQ), walking the Tombe de Ligny, Sombreffe, Blucher's presbytery, the cemetery and the Tongrinne flank, Ligny’s Ferme d'en Haut and the Gérard museum. We follow the Prussian retreat and recovery at Mellery before visiting Napoleon’s last HQ at Le Caillou. We return to Quatre Bras for the start of Wellington’s retreat through Genappe and medieval Loupoigne. The cavalry actions here are much misunderstood; we explain the very latest research to present a rather different interpretation of the British, French cavalry and artillery actions. We follow the other Prussian retreat to Gembloux, before moving on to the battle for the river crossing and mill at Bierges. We then follow the Prussian advance to Waterloo, walking part of the Vieux Chemin, Chapelle St Robert, Ferme de la Kelle, the Schwerin monument, the Bois de Paris, the Prussian Monument and Plancenoit. Napoleon’s fateful day arrives. We start at Belle Alliance, walking the French gun line to Papelotte, Smohain and Ziethen's crossroads. We follow the course of D’Erlon's forceful attack, the British Heavy Cavalry charges, General Picton, Lambert’s Inniskillings, events at the crossroads and La Haye Sainte. From the Wounded Eagle monument we approach Hougoumont from the French and Allied perspectives, discuss the close-run fighting there and the latest archaeological finds. On up to Mercer's ridge for the massed French cavalry charges and the repulse of Napoleon’s Imperial Guard. Journey to Mont St Jean, brewery visit and tasting, and the new Medical Museum. What the future held for the Waterloo leaders and combatants. We tackle Grouchy’s problems with our unique map game to complete your immersion into the mindset of the baffled French leadership. Questions & Answers to fill any remaining gaps, then we head home, or join the extra half-day tour to Ramillies. The 4 Star Martin's Grand is merely a cannon shot, hop, skip and jump from the battlefield of Waterloo. 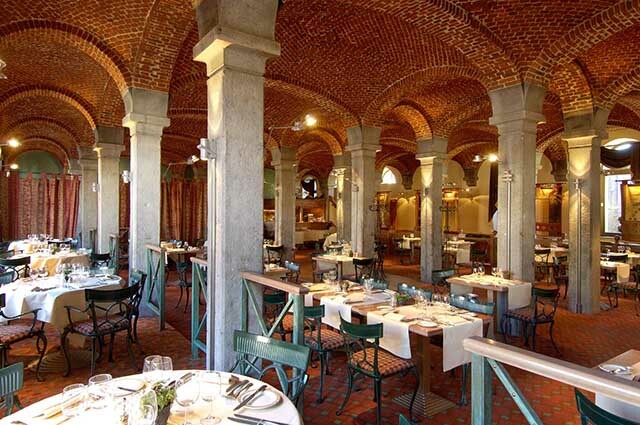 Built in 1836 by the Raffinerie Nationale de Sucre Indigène et Exotique (National Refinery for Indigenous and Exotic Sugar) to cultivate sugar beet and to make sugar, it still displays the beautiful brick vaulting in its restaurant La Sucrerie. The best location to start and end each day's journey, with spacious and comfortable rooms. Getting There and Back: Join us on Eurostar from London, or meet at our Waterloo hotel.